After completing this lesson, you will be able to take advantage of convenience and security of paying your bills online with Schedule Master’s Online Billing Payment System. 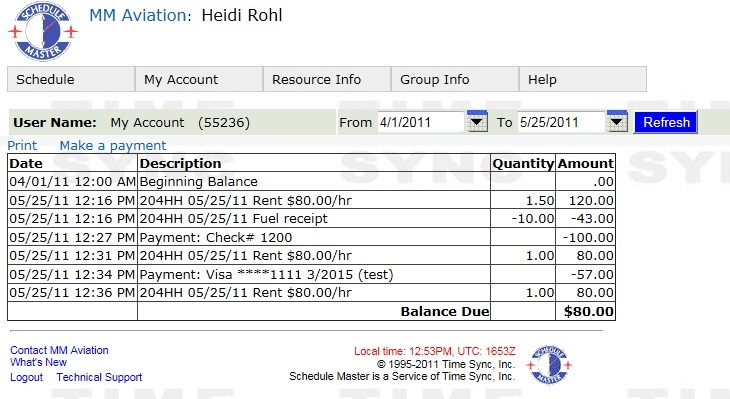 Paying online using Schedule Master’s Online Billing feature is a breeze. Simply follow the step-by-step instructions below. 1. 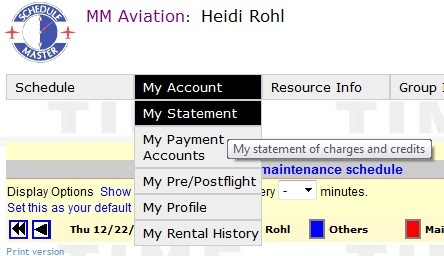 From the Schedule Master default page, click "My Statement" under "My Account" on the main menu. 2. If desired, you can adjust the range of dates for the statement. Click the “Make a payment” link to initiate a payment. 3. Complete the payment form. If you do not have any electronic payment methods, you can add one by clicking on the "Add Credit Card" or "Add Bank Account" links. If you select a credit card method, you will need to enter you security code. If you select an eCheck method, you will need to enter your password to confirm (as pictured below). When the form is complete, click the red “Submit” button.